Shuttles for the rental car companies are in the parking area outside the airport. Verify with your rental company how the picking up and return works for them. Renting a car in Japan, doesn’t have to be expensive and the quality is good. We recommend you to rent a car in advance, because it’s busy in peak seasons (most Japanese people have their holiday at the same time). An International Driving Permit (IDP) is essential. An IDP is an identity document that allows the holder to drive a private motor vehicle in any country that recognises IDPs. To be valid, the IDP must be accompanied by a valid driving licence. The IDP must be arranged in your home country prior to departure, and usually lasts one year. Renting a scooter or motorcycle is fun as well, depending on where you stay and for how many people. The prize isn’t much different from hiring a car. You need an International Driving Permit for it as well. Search below location “ISG” – Wait a moment – “Ishigaki Airport (ISG), Ishigaki Island, Japan” or click here. In Japan, people drive on the left and the car usually has an automatic transmission. The road signs and traffic lights are sometimes different from what you’re used to. 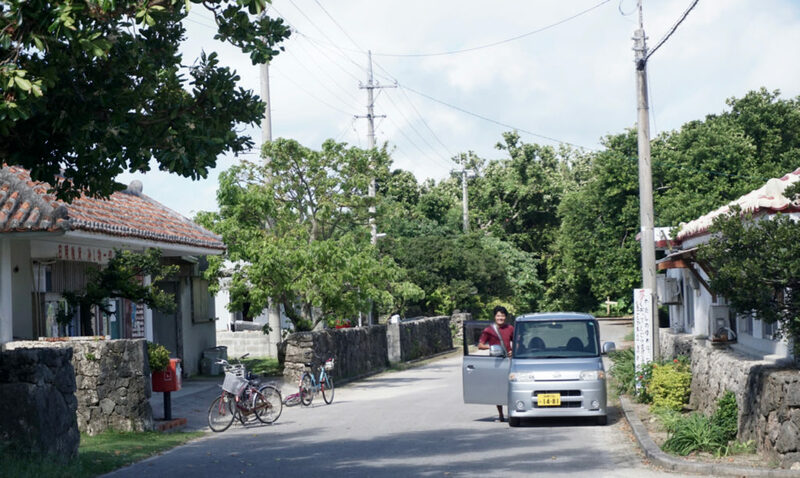 On the Yaeyama islands, where traffic is relaxed and the average speed is 40 km/hr, it doesn’t have to be an obstacle. Keep staying alert though. The village/city names are written in ‘romaji’ (Latin/Roman/western), so easy to read. Most of the petrol stations have office hours, some are open longer (in Ishigaki city). Make sure to fill your tank on time.